When the crew at Victory Ford receive a new car on the lot, we like to highlight some of the best features for our customers. 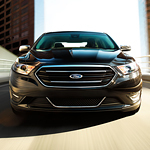 This year’s Ford Taurus full-size sedan comes with a number of technology features changing the industry. Each of our team members understands what it takes to find an SUV that can combine performance with comfort. We’re excited to introduce this popular full-size SUV. 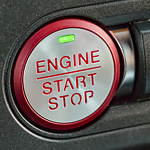 Standard on the Expedition is its 3.5L EcoBoost engine. The EcoBoost engine features twin turbochargers and direct injected system that works to maximize fuel use and power so that you have a responsive engine designed to perform. From the moment that you lay eyes on the 2018 F-150, you are going to realize that it is unlike any other pickup out on the road. 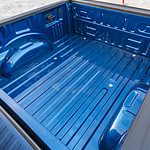 This full-size truck was designed from the ground up to be as rugged and durable as possible. With the new Ford F-150, you will be able to tackle any job that comes your way. The 2019 Ford Mustang has a classic convertible or coupe body. This acclaimed muscle car is equipped with robust mechanical features that guarantee sporty performance on the road. The 2019 Ford Mustang wears the signature BREMBO brakes, which include a total of six calipers in the front ventilated discs. Measuring 15 inches in diameter, these high-performance brakes work well under extreme conditions. The 13-inch rear brake rotors have a single-piston configuration. An independent rear suspension system keeps this Ford muscle car balanced on inclined roads. ?Whenever you drive a car, you drive it from the inside, so that makes it important for the interior to be as attractive as the exterior. The Ford Fusion is a popular hybrid sedan precisely because of all it has to offer in the interior. Technology goes a long way toward determining the quality and enjoyment of the driving experience. Whether it aids in vehicle performance or making passengers more comfortable, technology is a key factor in vehicle design today. 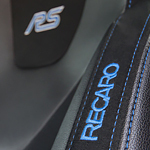 The 2018 Ford Focus RS embraces and incorporates technology in a manner that has produced a compact vehicle that drivers can enjoy. 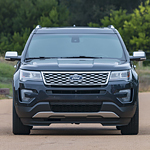 The Ford Explorer is a vehicle that will serve you well as a family vehicle to take the kids to school, and it will also serve well for going off-road and exploring the countryside. 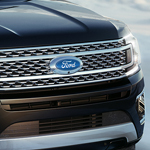 The Ford Explorer provides superior handling, and it has the features that make driving a pleasant experience. The Ford Fiesta ST is a popular performance hatchback that’s the ideal vehicle whether you’re one individual or part of a small family. The Fiesta ST is called Exhilaration on Wheels for a reason. 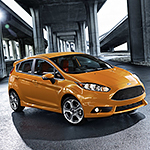 Stop at Victory Ford and check out the new Ford Fiesta ST for yourself. 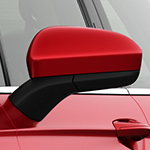 You’ll love everything this hatchback has to offer. The 2018 Ford Fusion Energi is designed to provide you with constant feedback while you're driving. This popular plug-in hybrid is equipped with a unique instrument panel that can be configured to display the information that's most important to you. The panel is called SmartGauge. It can help you improve the vehicle's efficiency with EcoGuide. As you drive, gauges will display engine power and current battery capacity.